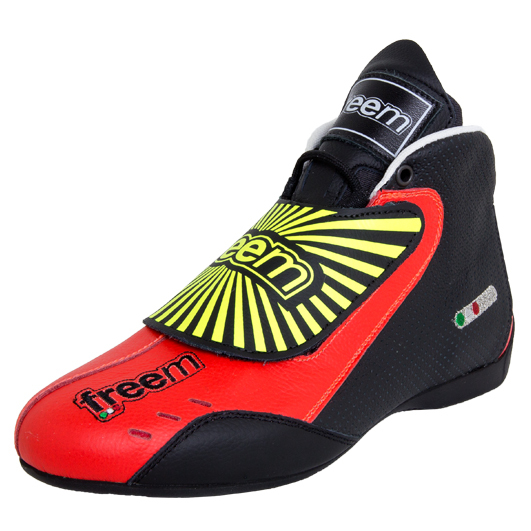 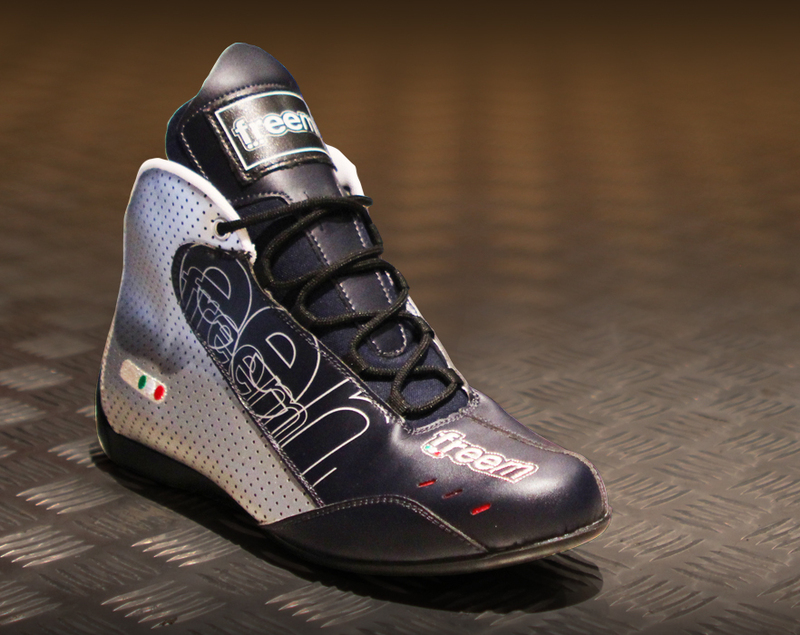 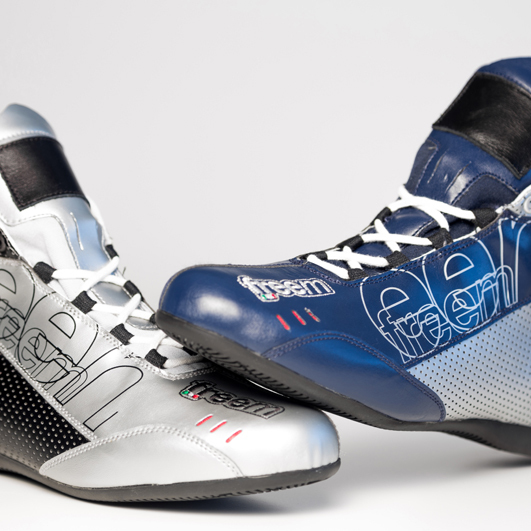 FreeM karting boots are made from synthetic leather and feature a holed pattern in the rear part of the boot for breath-ability. 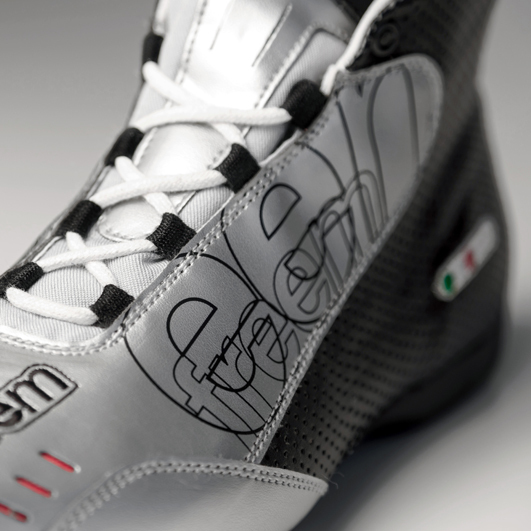 The front side section has an added layer to add even more abrasion resistance. 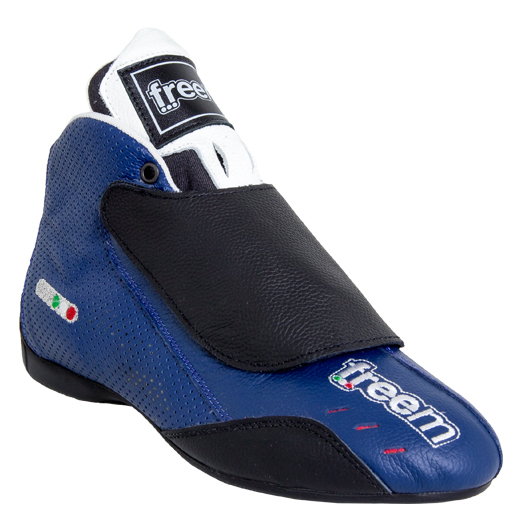 The rubber sole has a curved heal which continues partly up the back of the boot, this provides a comfortable motion when driving. 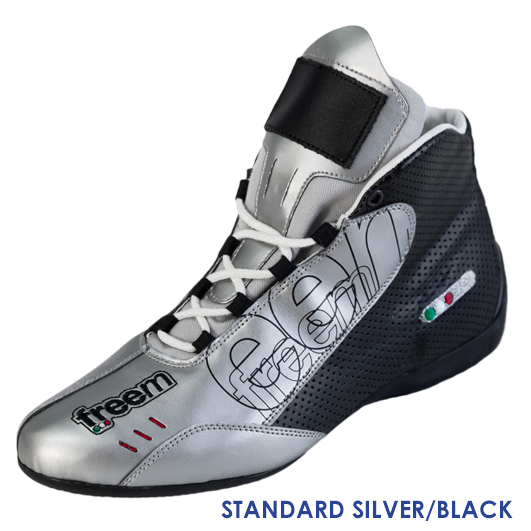 Available in black/silver or silver/blue as standard in sizes 35 to 47. 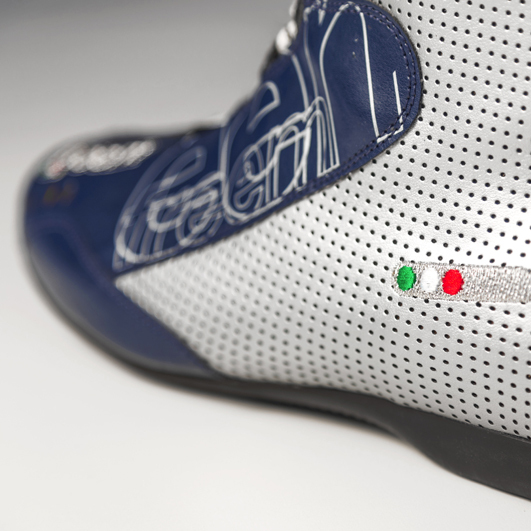 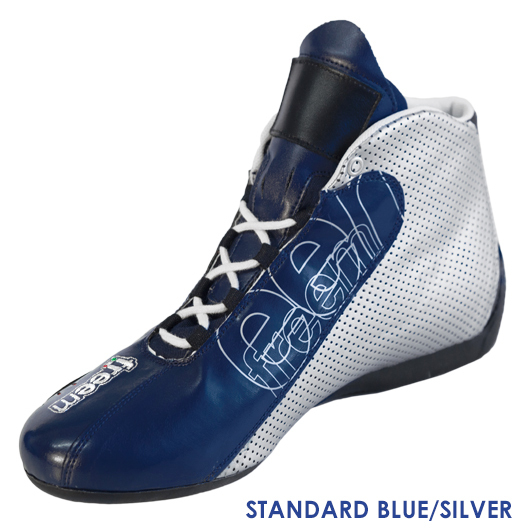 Further choice is available with custom boots which can be made completely to your specification.